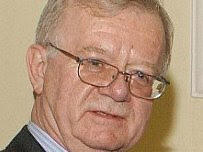 Mr. John Baron (Billericay) (Con): The September 2002 dossier, entitled "Iraq’s Weapons of Mass Destruction", was central to the Government's case for war in Iraq. 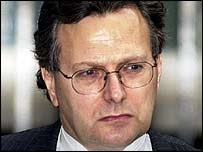 There is little doubt that the dossier was "sexed up"—that the balanced judgments and reservations of the intelligence community were transformed into near certainties—but we also know that Lord Hutton and Lord Butler ultimately cleared the Government of sexing up the dossier, because they believed that the Joint Intelligence Committee had authorship and ownership of the document. However, I suggest that recent evidence casts doubt on that conclusion. Part of that evidence points not only to a hitherto unknown first full draft of the dossier, written by a press officer, but to its importance in the drafting process itself. Indeed, it shows that spin doctors were on the inside of the drafting process and were integral to it, and that the JIC did not approve or sign off the document in any meaningful way. That is contrary to what we have been told by the Government so far. It is therefore no wonder that the dossier was characterised by spin and exaggeration. As I told the House on 1 May, Lord Hutton had access to all documents that he wished to see, including the Williams draft. That document was provided to Lord Hutton’s team on 12 September 2003. It did not appear among the documents that Lord Hutton chose to make public on the inquiry’s website, but that was Lord Hutton’s decision. Next, the Government are asked why, if they have nothing to hide, they should refuse to release the draft in response to a freedom of information request. That is a very fair question, and it is currently the subject of an appealto the information tribunal over the Information Commissioner’s ruling that the document should be released. I am therefore somewhat constrained in what I can say. I will, however, say that an important principle at stake: it is vital that we provide thinking space for officials and others who routinely draft policy documents. They should not feel constrained in presenting new or challenging ideas because they fear that they will be made public. That is specifically recognised in the Freedom of Information Act 2000. I can understand that the hon. Gentleman would press hard on the question, which is at the heart of his case. However, when I intervened on him he said that the document was of such importance that it should be published, which implies that judgments must be made about what things it is important, very important or vital to release. He is making that judgment without having seen the document. This is a matter that has never been easy for any Government. It is very difficult to decide whether the release of a document may in the future prevent the radical thinking that is sometimes needed to take policy forward. Mr. John Baron (Billericay) (Con): We hope that the inquiry will be wide-ranging, and that it will include an examination of how the intelligence was assessed and presented. In the meantime, however, I have a question. The main justification for war was the weapons of mass destruction argument, and that ultimately proved to be wrong. Who does the Foreign Secretary think is to blame for that? Does the blame lie with the intelligence services for their assessment of the intelligence that came in, or with the politicians for their presentation of the evidence? Margaret Beckett: The hon. Gentleman has just given an extremely good example of why it would not exactly promote the cause of looking to the future and rebuilding Iraq to engage in the kind of dialogue that he wants at this time. He is, of course, right to say that these are issues of importance, but I recall that in the last debate on this subject one of my hon. Friends reported to the House a discussion at which he had been present with Dr. el-Baradei. Dr. el-Baradei confirmed to those present at that meeting that in March 2003, he had himself believed that Iraq possessed weapons of mass destruction that it was capable of using, and likely to try to use. So the notion that this was somehow all made up by the Government of the United Kingdom bears no examination at all. As I said, this is a good example of how the Conservative party would prefer to dwell on the past, rather than looking to what is happening now in Iraq and working with it. Ian Lucas (Wrexham) (Lab): On 17 March 2003, I voted against my Labour Government for the first time. It was one of two occasions when I have voted against the Labour Whip. When considering the motion before the House, it is relevant to look back at the reasons why I, and many colleagues, voted against the Government on that day. I was very clear in my own mind that I did not support military action because it was not supported by a United Nations resolution. I had been particularly impressed with the work of Hans Blix and the UN weapons inspectors in the difficult situation during the months leading up to the decision to commit troops, and therefore followed every word that he said and set great store by it. About two years after we decided to commit troops to Iraq, I attended a meeting addressed by Hans Blix in this House and was struck by what he had to say. 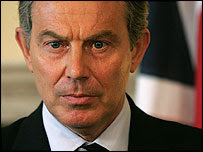 He told us that in March 2003 it was his belief that Iraq had weapons of mass destruction. Before today’s debate, I looked at the Prime Minister’s speech from 17 March 2003. It was very clear from what he said on that day—and it has always been my judgment—that he believed that Iraq had weapons of mass destruction. I believed that Iraq had weapons of mass destruction, but I still voted against the Government. I did so because I believe in the rule of law and that international action must be governed by the United Nations, and I took the view that we had not exhausted all available options to avoid war. "That this House supports the principle that there should be an inquiry by an independent committee of Privy Counsellors to review the way in which the responsibilities of Government were discharged in relation to Iraq and all matters relevant thereto in the period leading up to military action in that country in March 2003 and in its aftermath and to make recommendations on the lessons for the future." [Division No. 135] The House divided: Ayes 253, Noes 288. "notes the Resolution of 31st October 2006; recognises that there have already been four separate independent committees of inquiry into military action in Iraq; further recognises the importance of learning all possible lessons from military action in Iraq and its aftermath; and therefore declines at this time, whilst the whole effort of the Government and the armed forces is directed towards improving the condition of Iraq, to make a proposal for a further inquiry which would divert attention from this vital task." [Division No. 136] The House divided: Ayes 274, Noes 229. That this House notes the Resolution of 31st October 2006; recognises that there have already been four separate independent committees of inquiry into military action in Iraq; further recognises the importance of learning all possible lessons from military action in Iraq and its aftermath; and therefore declines at this time, whilst the whole effort of the Government and the armed forces is directed towards improving the condition of Iraq, to make a proposal for a further inquiry which would divert attention from this vital task. Mr. Speaker: We now come to the main business. I inform the House that I have selected the amendment in the name of the Prime Minister. A formal public inquiry would be likely to be a much lengthier process. A Committee of this House, which I believe was proposed by the nationalist parties, would find it harder to benefit from external expertise. A Privy Council inquiry on the model of the Franks commission therefore rapidly recommends itself for this particular subject and it must be highly likely to be what will happen in the end. The Government should be able to accept that today. If the Leader of the House and the Defence Secretary were not referring to this kind of committee of Privy Councillors when they referred to there being an inquiry in the future, the Foreign Secretary needs to tell the House today what sort of inquiry they were they talking about. "to make a proposal for a further inquiry which would divert attention"
"improving the condition of Iraq"
"four separate independent committees of inquiry"
is nothing short of ludicrous. "We were hopeful that we would receive full cooperation from the government." "Our Chairman wrote to the Prime Minister (requesting his attendance and that of Mr. Alastair Campbell); the Cabinet Office Intelligence Co-ordinator; the Chairman of the Joint Intelligence Committee; the Chief of Defence Intelligence; the Head of the Secret Intelligence Service; and the Director of GCHQ. None of them replied." 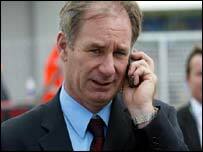 "We are confident that our inquiry would have been enhanced if our requests had been met. 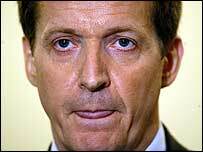 We agree with Alastair Campbell that 'It would have been very odd to have done this inquiry' without questioning him, and we regret that other witnesses, some of whom we suspect felt the same way as Mr. Campbell, were prevented from appearing." That is the true story of the Foreign Affairs Committee inquiry, yet it is held up by the Government in their amendment as an example of an independent inquiry. It is unacceptable for the Government to refuse to co-operate fully with the inquiries that take place, and then to cite their work as an illustration of why further inquiries are unnecessary. The fact is that each of the inquiries that has taken place so far has provided a snapshot of one particular aspect of events in Iraq, but that their findings were sometimes arrived at without the full co-operation of the Government and are in general now out of date. There has been no investigation so far into the overall conduct of the war, the planning for the aftermath, or the implementation of such plans as may have existed for the rebuilding of the Iraqi state and society after the overthrow of Saddam Hussein. I want to deal with two specific issues. First, I want to nail the idea that the time is wrong for an inquiry. The time is certainly wrong for an inquiry about what we should be doing in Basra right now, or what General Petraeus should be doing in Baghdad and the Sunni areas right now—but there is absolutely nothing wrong with an inquiry into how we became involved in the war. What were the relationships between the Prime Minister and the President? When were the decisions actually made? How was the intelligence got so wrong, and how was it so badly misinterpreted and/or mis-sold to Parliament? What part did we play in the mistakes made by the Bremer administration, and did we argue against them or were we fully on side? Those mistakes are in the past. I believe that we can inquire into them properly without in any way undermining the authority or effectiveness of what our troops and our coalition partners, particularly the United States, are trying to do in Iraq. I believe that it is a red herring for the Government to say that the timing is wrong. The timing is certainly wrong for a whole inquiry, but there would be nothing wrong with the timing of the first part of an inquiry, looking into how we reached this point and how such big strategic mistakes were made. The second lie that I want to nail, which is in the Government amendment, is that there have already been four inquiries. The right hon. Member for Oldham, West and Royton dealt with that to some extent, but I want to deal with it in a little more detail, because I was a member of the Foreign Affairs Committee that reported on the issue. 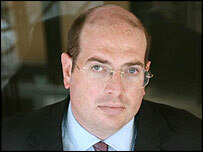 The Hutton inquiry was nothing to do with the war in Iraq. 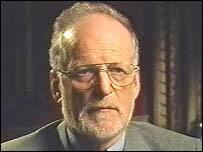 It was to do with the death of Dr. David Kelly. The terms were drawn up by the Government and were very tightly prescribed, although the Government were extremely generous with witnesses and papers. They did not show such generosity to the Foreign Affairs Committee. The Hutton inquiry obtained every witness that it wanted, but it was nothing to do with the intelligence or the decisions that put us in this situation in the first place. The Butler inquiry was useful. It examined the intelligence, and it was the only inquiry that found anything particularly new. 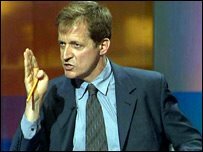 It produced some very damaging evidence, mainly about the style of government—which I think tells us something about the process by which the issues were considered—but also about the fact that intelligence was at least mis-sold to Parliament, and did not quite justify what was in the September 2002 dossier. The third inquiry was conducted by the Intelligence and Security Committee. The ISC is not a Committee of Parliament. It is appointed under statute by the Prime Minister, it reports to the Prime Minister, and for obvious reasons all its evidence sessions are held in private. 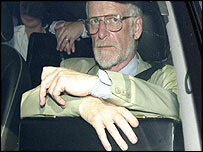 Its original role was overseeing the intelligence services. It was not designed to inquire into particular uses of intelligence or particular policy decisions made on the basis of that intelligence, with or without it. It was designed to have oversight of the security services, which were felt not to be accountable to Parliament in any way, because accountability other than through departmental Ministers was very difficult. The Government, however, have used it as something to hide behind. I was a member of the Foreign Affairs Committee for, I think, seven years, until a few months ago. The Government would say, "Oh, we’ll give that intelligence to the Intelligence and Security Committee," as though that were an alternative to giving it to the Foreign Affairs Committee, when what was at stake was actually a foreign policy decision. I do not think that the Intelligence and Security Committee counts. The Committee that counts is the Foreign Affairs Committee, and our inquiry was obstructed by the Government. "We are strongly of the view that we were entitled to a greater degree of co-operation from the Government on access to witnesses and to intelligence material." It was a unanimous report, produced by a Committee with a Labour majority. The only way in which the Committee could have sought to insist on the attendance of witnesses would have been to seek a resolution of the House, which, effectively, would require Government approval. I think that Parliament must decide whether it is serious about its Select Committees. We are pretty awful at holding the Government to account. So was the Labour party when we were in government, and so it will be again when we are back in government. I do not think that this is a party political issue. I think that the House must decide whether it is serious, and if it serious, whether Select Committees are the answer. We need a better mechanism than having to come back here and pass a resolution of the whole House to force the Government to comply with requirements with which they have already effectively agreed to comply. Our Committee asked for named civil servants and specific pieces of paper, and was denied them. We received a letter saying, "The Foreign Secretary will answer for all these people." That is not what the rules say. When Robin Butler was the permanent head of the civil service he reinforced the Osmotherly rules, which stated that if a Committee asked for a named civil servant, that civil servant had a duty to attend. In exceptional circumstances, it might be necessary for civil servants' Ministers to answer for them. But we were not offered the Secretary of State for Defence, and we were not offered the Prime Minister himself. We were offered the Foreign Secretary to answer for all those civil servants, and I think that that was unsatisfactory. It is interesting to note that all those people attended the inquiries of the Intelligence and Security Committee, and the Hutton inquiry. At the Hutton inquiry they gave evidence in public. All the papers that the Foreign Affairs Committee requested—which we were prepared to take on restricted terms, as we have with many other papers in the past—were offered to those inquiries quite openly. 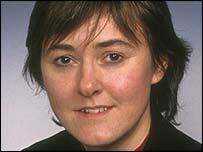 I do not know whether the Under-Secretary of State for Defence, the hon. Member for Halton (Derek Twigg) will wind up the debate. If not, I ask him to invite the Minister of State, the right hon. Member for East Kilbride, Strathaven and Lesmahagow (Mr. Ingram) to deal with this issue. The Government must stop saying that there has been an inquiry of the House just because the Foreign Affairs Committee conducted an inquiry. We were obstructed, and we published a report saying that we had been obstructed, to which all the Committee's Labour members subscribed. Our motion calls for—and everyone talks about—an external inquiry, as if we were incapable of performing this function for ourselves. I return to my point that the main function of the House of Commons, or at least of those Members who are not in the Government, is to hold the Government to account. One of our mechanisms for doing that is Select Committees. We should not abdicate the first difficult inquiry to a judge, as someone suggested. I happen to think that a High Court judge is the last person who should conduct such an inquiry. It would take five years, we would end up with a million volumes of evidence, and—as happened with the Scott inquiry—all who wished to do so would be able to pick out some bit of it that suited their argument. We need the House to be able to perform its functions. I think that if our Select Committee had been given the powers that it was supposed to have, we could have done it, although we might have needed some additional resources. The first step should be a Committee of the House; we should not be abdicating our responsibilities to other people. The Conservatives today demanded a full-scale inquiry into the Iraq war and its aftermath - warning that without a swift investigation the government could dispose of embarrassing evidence. William Hague, the shadow foreign secretary, insisted there should be an in-depth inquiry into the war before it was too late. And in a damning display of distrust in the Blair government, he told MPs the investigation must happen before "memories fade, documents are shredded and emails become untraceable". Although the call in the Commons will go to a vote later tonight, the government's majority means it stands no chance of being forced to agree to such a investigation - despite the backing of the Liberal Democrats, the nationalist parties and even some Labour backbenchers. The normally loyal Labour MP Chris Bryant backed the call for an inquiry, although he said it should go further and be a full independent inquiry by parliament rather than just the privy council. The foreign secretary, Margaret Beckett, faced ire from MPs when she branded the call for a rapid investigation "self-indulgent". 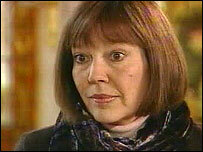 Mrs Beckett was heckled loudly as she said the inquiry would "divert attention" from the current war effort in Iraq. The government points to the four inquiries that have already been held into Iraq or surrounding issues. 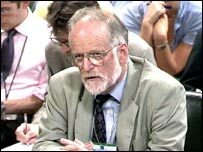 They are an inquiry in 2003 by the foreign affairs select committee, an inquiry by the PM-appointed security and intelligence committee, the Hutton inquiry into the circumstances around David Kelly's death and the Butler inquiry into the intelligence failures in the lead up to the conflict. Although the Tories backed the original decision to go to war, today Mr Hague demanded that the government bow to the "gathering consensus" there needed to be another inquiry. He was joined by his party leader, David Cameron, who made a show of sitting alongside Mr Hague in the Commons even though the prime minister - who had earlier briefed MPs on the G8 summit - had left. Mr Hague said the war was "one of the most controversial and difficult issues of our time" and that success in Iraq had proved "progressively more elusive". He proposed setting up a privy council inquiry, which would begin taking evidence "in the near future", while troops are still in Iraq. Mr Hague said: "None of us in this house should turn our face against a major inquiry into what has happened. "This government and future governments need to learn the lessons and the country needs to be assured that they will have done so. "No adequate reason remains for the government to refuse to establish such an inquiry to begin its work in the near future." The Tories want both the run up and the aftermath of the war to be subject to the examination by privy councillors - essentially a cross section of senior MPs and cabinet ministers. Mr Hague insisted that would be non-partisan, and that the inquiry's conclusions, if not all its evidence, would be made public. Mrs Beckett said the government's view was that "there would come a time when these issues will be explored in the round" but while troops are actively engaged in Iraq "it would be wrong to launch such an inquiry". 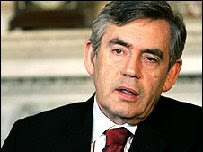 The debate in the Commons came as Gordon Brown made a surprise visit to Baghdad, where he pledged to take any future political involvement out of intelligence matters, and promised MPs would have a vote on military action in future. The motion to force the government to hold an inquiry was rejected by 288 votes to 253. Gordon Brown has said lessons must be learned on use of intelligence in the run-up to war, but ruled out holding an inquiry while troops remain in Iraq. The prime minister-in-waiting said that in future intelligence analysis must be kept independent of politics. 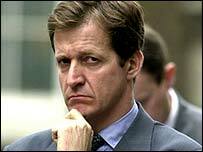 The Tories and Lib Dems said it was an admission that intelligence was not properly handled or presented on Iraq. 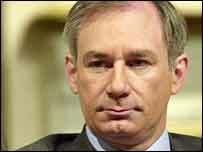 Mr Brown's visit came as MPs in London debated Conservative calls for an inquiry into the Iraq war. The chancellor said he did not back an inquiry being held while troops remained in Iraq, but agreed lessons had to be learned. He said that in future all intelligence information must be independent of the political process, and that it must be validated and verified if made public. "I think it's important to learn all the lessons, just as Tony Blair has said he acted in good faith but mistakes were made. I think it's important to learn the lessons to look forward now," Mr Brown said. But it led some to comment that the chancellor appeared to be trying to distance himself from Mr Blair and the government's 2002 dossier on Iraq's alleged weapons of mass destruction. That was the dossier which included the now discredited claim that Saddam had weapons of mass destruction which could be used within 45 minutes of an order being given. 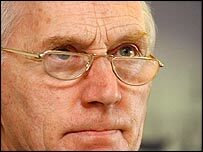 Lib Dem leader Sir Menzies Campbell said: "This is the first public admission by a member of the Cabinet that, before military action was taken against Iraq, there was undue influence, undue political influence, on intelligence." And shadow foreign secretary William Hague added: "I think it is a bit of an admission that intelligence wasn't properly handled or presented at that time." The Butler report into the accuracy of intelligence about Iraq's weapons of mass destruction found much was unreliable, but said the inquiry had seen no evidence of deliberate distortion. 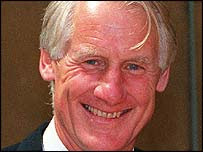 Former Joint Intelligence Committee chairman Sir Paul Lever told the BBC Mr Brown's announcement was "very welcome". "It clearly is an attempt by the next prime minister to put some distance between himself and the way in which the so-called 'dodgy dossier' and other documents were produced to justify the decision to go to war in Iraq," he said. "It is vitally important that those people who prepare intelligence and assess intelligence are able to do their work independently and objectively." 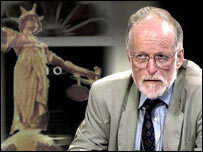 That this House believes that decisions regarding British involvement in wars or conflicts must be based on reliable intelligence and accurate public information; further believes that the September 2002 dossier, Iraq's Weapons of Mass Destruction, played an important part in making the case for military intervention in Iraq; notes the existence of an early draft of the dossier written by Mr John Williams, a press officer at the Foreign and Commonwealth Office, at the request of Mr John Scarlett, Chairman of the Joint Intelligence Committee, on 9th September 2002, one day before Mr Scarlett produced his own first draft; further notes that there is no evidence that this document was disclosed to the Hutton Inquiry, which examined allegations that intelligence assessments were exaggerated by press officers; further notes that the Government has refused, despite parliamentary questions and a Freedom of Information request, to publish the Williams draft; further notes that the Information Commissioner has overruled the decision of the Foreign and Commonwealth Office to withhold the document, and that the Government has appealed against this ruling; further believes that the truth about the production of the dossier needs to be known; and calls on the Government to publish the Williams draft to help hon. Members and the public make an informed judgement about the influence of press officers in the presentation of intelligence before the invasion of Iraq in 2003. 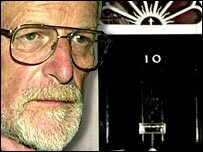 John Baron MP is calling on the Government to publish the draft Iraq dossier of 9th September 2002 written by John Williams, a press officer at the FCO – which recent evidence shows John Scarlett requested prior to producing his own first draft on the 10th September. For some reason, the Government is reluctant to do so – despite a ruling against it by the Freedom of Information Commissioner. "It is important that a proper assessment is made of the influence of spin doctors in presenting the case for war, which is why the publication of this document is vital. If the Government has nothing to hide, then it should release the draft – which, after all, was originally intended for publication." "There is little doubt in my mind that, in the lead up to war, possibilities identified by the intelligence services were turned into near-certainties by politicians desperate to convince the public and Parliament of the need for military action. Spin doctors appear to have been involved in this process." "This issue is important because the decision to go to war in Iraq is still costing lives today, and we must endeavour never to go to war on a false premise again. This is why we must put the spot-light on the role of spin doctors during this episode." Chris Ames on the Foreign Office's decision to appeal against the release of the 9 September draft of the 24 September dossier.